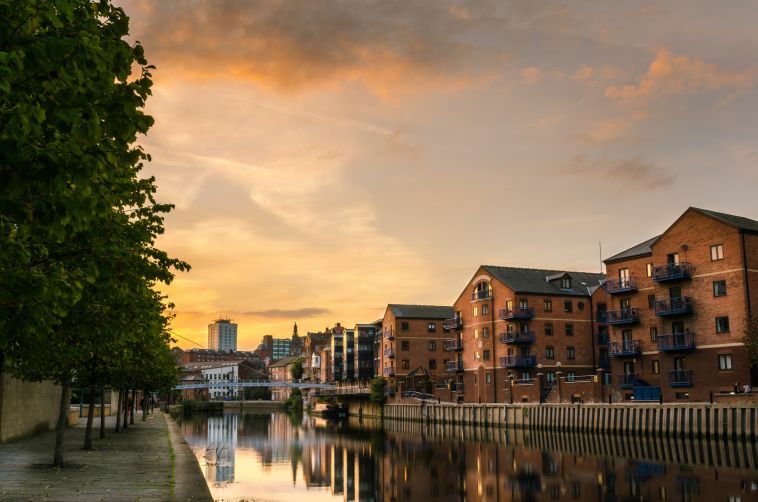 With the largest legal and financial sector outside of London, Leeds provides a diverse, developing society focused on growth and connectivity. Leeds, with an economy worth over £18 billion continues to be the UK’s health and innovation city, boasting the HQ of NHS England, the largest single health commissioner in the world1. The technology industry in Leeds is booming and with a rapidly growing population, the Leeds property market is on an exponential rise. Leeds originated as a mill town with wool being the major industry. In the 18th Century, Leeds’s global exports accounted for one sixth of the UK’s total. The UK’s manufacturing sector has since declined and the city’s economy has expanded while rapidly diversifying. New tertiary industries such as retail, call centres, offices and media have contributed significantly towards the city’s economic growth. In 2014 Leeds was the recipient of the UK government's largest ever £1bn Local Growth Deal. Set out in two stages comprising £573 million to be spent over 6 years (aiming to expand training, housing and infrastructure for continued economic development), plus an extra £420 million over 20 years to deliver the West Yorkshire Plus Transport Fund for rail and road improvements 1 . 780,000 residents live in Leeds alone, with 2.3 million in the wider Leeds-Bradford Metropolitan area, making it the third largest city and the fourth largest urban and metropolitan area in the UK. It has the most diverse economy in the UK and has seen the fastest rate of private-sector jobs growth of any UK city. Leeds also has 480,000 people in employment and self-employment (2015) 2 . Served by four universities, Leeds has the fourth largest student population in the country and the fourth largest urban economy in the UK. The tech sector of Leeds adds further economic diversity, with the industry expected to grow by 5.6% over the next five years (compared to 2.8% over the last five) 3 . 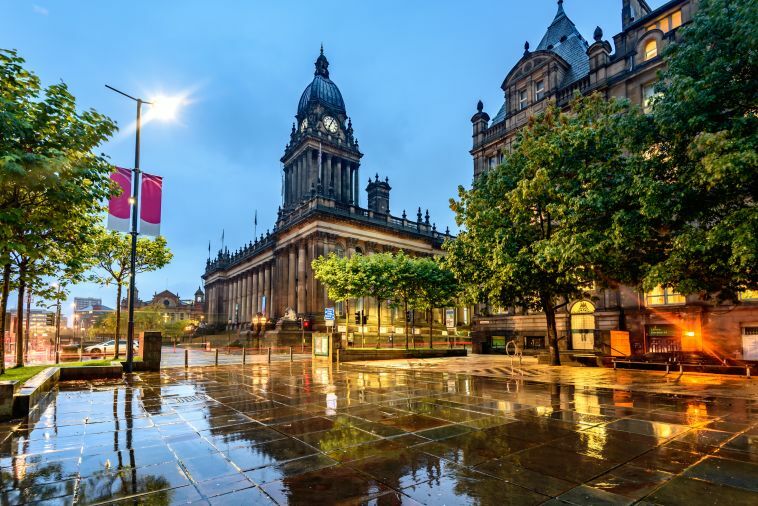 Companies such as KPMG, First Direct, HSBC and many other firms that have national and or global reach headquarter operations either in Leeds or in the surrounding metropolitan areas. This coupled with the future arrival of HS2 in 2033 leaves the city as a strong prospect point for further investment in both property and in infrastructure. As the northern centre for legal and financial services, Leeds’s economy has grown by 34% in the last decade, following the aftermath of the recession 4 . The future of the city’s economy depends much on the sustainable growth of its already internationally acclaimed tech industry. Leeds continued this period of sustained growth in Q1 of 2017, achieving a Gross Value Added (GVA) rise of 2.1% 5 . As the UK’s second city for banking services, the city employs over 14,000 people in banking and 46,000 across professional services and it is set for a greater international focus, with the sector set to grow 50% by 2022 1 . The innovative data analytics and data science services that Leeds offers are currently utilised by companies such as Asda-Walmart, Telefonica, TomTom, Marks & Spencer and Yorkshire Water. There are over 32,000 VAT-registered business in Leeds and in excess of 6,000 small and medium-sized enterprises which account for more than half of employment. The city also has a number of mid-sized and large companies well above the national average 4 . The NHS has 4 of its 5 national offices in Leeds, including NHS England, making Leeds the UK’s leading healthcare city. Leeds’s commercial property market is currently experiencing unprecedented growth. Over £3.9 billion has been invested in large scale development projects over the last 10 years, with a further £7.3 billion of development either under construction or in the pipeline 4 . Leeds had strong take-up figures for office space throughout 2016, with 47% of space pre-let 3 . There is expected to be continued high demand for Grade A office space in the city as companies continue North-Shoring. However, despite past and ongoing investment, Leeds city centre has only two years of new Grade A supply, with 109,000 sq ft due to complete by the end of 2017, highlighting the need for further development 3 . At just £28 per sq ft, the Leeds office market is one of the best value compared with other regional cities. Cities such as Manchester (£34/sq ft) and Birmingham (£32.50/sq ft) are comparatively more expensive and top rents are expected to grow by as much as 2.3% per year in the city, hitting £30 per sq ft by the end of 2019 3 . Many tech and legal firms have been enticed by the cheap rents and good accessibility south of the river. In the Holbeck urban village, both the Holbeck Portfolio and Tower Works are currently in planning. Together, they will provide an estimated 520,000 sq ft of additional space 3 . It is predicted that office based employment will grow 3.4% over the next five years, largely due to the expected 5.6% growth of the tech industry over the same period 3 . Leeds city has seen a recent influx of investment - much of it geared toward developing retail sites. The £350 million ‘Trinity Leeds’ shopping centre opened in 2013, welcoming over 22 million visitors in the first year 1 . In 2016, Leeds saw the opening of the £165 million Victoria Gate shopping centre too. It has 42,000 square metres of retail and leisure space, in addition to the 24,200 square metre flagship John Lewis store. A second phase is planned which will increase the square metre footprint further. As of December 2016, Leeds had 174 retail developments, valued at over £1 million under construction and a further 20 planned. This includes further expansion to the office space at the Thorpe Park development and the construction of a 300,000 sq ft retail park 1 . Leeds has multiple Industrial sites, however, the new Leeds City Region Enterprise Zone, covering 142 hectares offers reduced business rates worth up to £275,000 over a five-year period and includes simplified planning and broadband speeds of 100mbs 1. The Leeds tech industry is expected to grow 5.6% over the next 5 years (compared to 2.8% over the last five). This will impact office space prices and coupled with a business start-up rate of 85 businesses per 10,000 head of the working age population, Leeds’s demand for affordable and shared workspace solutions will only increase. Here is an outline of what the city has to offer 3 . Regus has 3 buildings in Leeds city and a further 5 in the surrounding areas. Regus offers workspace customization in contemporary properties, situated at prestigious locations within Leeds. These including a 7-story building overlooking the river Aire. Situated at 1 Eastgate in the city centre and offering a vibrant community of tech start-ups, this co-working or dedicated office space is a platform for idea exchanging, networking and business development. Office space is available for businesses of up to 35 employees and members have full access to meeting rooms. Also offered are event spaces with a capacity of 80 people and a mentorship programme from developed professional firms. An award-winning, spacious, and stylish business and social hub, minutes from Leeds City Centre, Shine plays an important role in the community along with running a successful space for developing businesses. Shine offers business office space from 177 sq ft up to 978 sq ft, with high-speed fibre, secure parking and free meeting rooms. Named by Nomad Capitalist as one of the best co-working spaces in Europe, Duke Studios offers co-working, free meeting rooms, and a choice of desk and studio rentals. Initiatives such as Free Thursday’s, where tech and digital business can use event space free of charge, have made Duke studios an invaluable resource for Leeds’s developing businesses. No.1 Aire street is a 1930’s building in the heart of Leeds and the closest possible location to the city’s main station. This building has lounges, co-working space, event space, meeting rooms and individual offices. This is all topped off with a roof terrace, offering 360 views of the city. An art deco building, restored in a contemporary style, it’s perfect for developed and developing businesses alike. 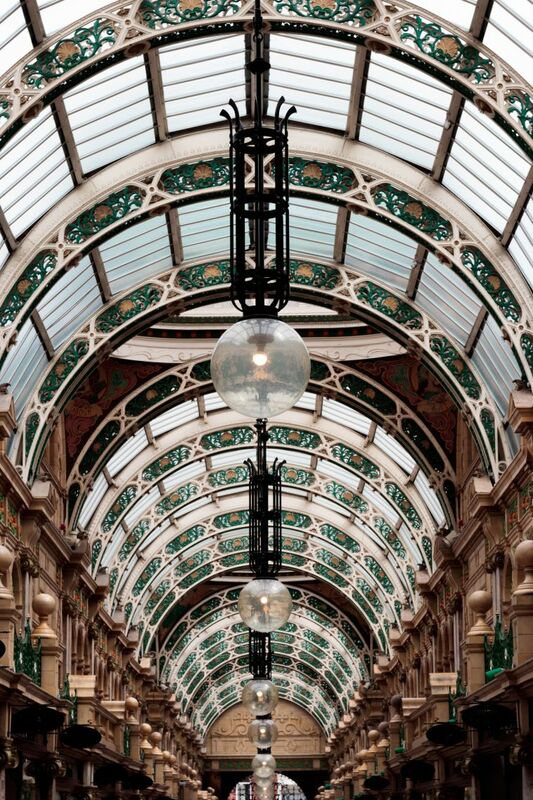 Leeds is only a one-hour drive for 7 million residents in the UK and only an hour by plane from London. The arrival of HS2 in 2033 will dramatically improve inter-city connectivity between The North and The South of the UK too. The arrival of HS2 will bring Leeds to London travel time down to 82 minutes. This new economic corridor has the potential to add 19,700 new jobs and boost the economy by as much as £7.8 billion every year 1 . The city’s main transportation service for inner city travel is the bus. £1 travel is available per journey in the city centre, allowing affordable travel for tourists and residents alike. Leeds has recently received £173.5 million from the DfT to improve its public transport services 1 . Leeds Bradford airport was, in 2016, the 15th busiest airport in the UK ranked by passenger numbers, with a total of 3.6 million passengers. This number is expected to rise to 7.1 million passengers by 2030 2. The 2011 Census shows that 85.1% of the city’s population is White, with 81.1%, 3% Pakistani and 2.1% Indian 1 . Leeds has the country’s fourth largest student population. The University of Leeds currently has 33,221 students enrolled. Together, they contribute £211 million to the local economy in rent and living costs alone 2 . The music scene in Leeds has a continuing influence on the surrounding society as the city tries to catch up with nearby Manchester. Bands such as The Kaiser Chiefs and The Pigeon Detectives originate from Leeds. Leeds has a strong festival scene, making up one-half of the Reading and Leeds festival, attracting just under 80,000 people a day with world-class artists such as Eminem and Arctic Monkeys having headlined in the past. Headingley in Leeds is a world-class cricket venue and the home of Yorkshire County Cricket Club. In 2010 it underwent an amazing transformation (costing £21 million pounds) and it is scheduled for another £35 million redevelopment to be completed by 2019. Leeds is also home to a number of major sports teams including Leeds United Football Club and Leeds Rhinos the latter having won the Rugby Super League 7 times in the last 13 years). In 2016, the declining levels of homeownership hit the northern areas of the UK with Leeds being one of the most affected areas. Rising house prices in Leeds and the surrounding areas are the main catalyst for this double digit fall in ownership. Leeds house prices are expected to rise a further 21.6% from 2017 7 to 2021. 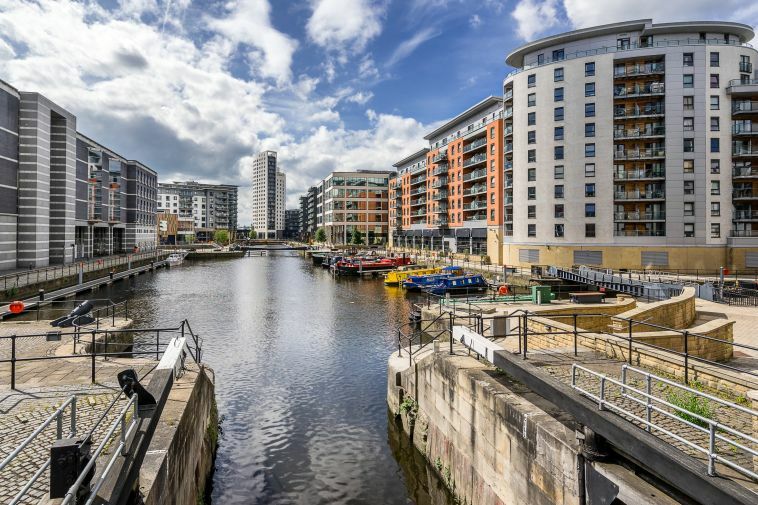 By 2021 Leeds’s average house price are forecast to hit £206,143, according to Zoopla’s Zed-index. This is compared to the national average of £218,225 (January 2017). The demand for residential housing in Leeds is on the rise and there is a current shortfall of 2,300 homes per annum 3. To deal with this shortfall, developments such as The Tower Works together with Temple Works and Kirkstall Forge will add hundreds of family homes and thousands of sq ft of retail development, bringing major benefit to the city.